View Poll Results: Should the beaver be replaced as Canada's national symbol? Yes, the polar bear is a more worthy symbol. No, the beaver is here to stay. I’d prefer to see a different animal symbolize Canada. 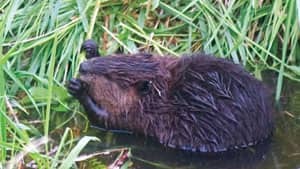 A Conservative senator wants to replace the beaver - which she calls a "dentally defective rat" and a "toothy tyrant" - as Canada's national symbol with the more "majestic" polar bear. Sen. Nicole Eaton says the polar bear is Canada's "most majestic and splendid mammal," and a powerful symbol in the lives of aboriginal peoples in the North. Quick Reply: Should the beaver be replaced as Canada's national symbol?